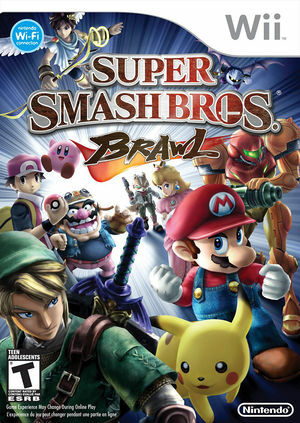 Super Smash Bros. Brawl, known in Japan as Dairantō Sumasshu Burazāzu Ekkusu (大乱闘スマッシュブラザーズX), often abbreviated as SSBB or simply as Brawl, is the third installment in the Super Smash Bros. series of crossover fighting games, developed by an ad hoc development team consisting of Sora, Game Arts, and staff from other developers, and published by Nintendo for the Wii video game console. 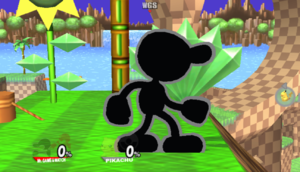 Like its predecessors, the object of Brawl is to knock an opponent off the screen. It features a greatly expanded single-player mode known as The Subspace Emissary (SSE). This mode is a plot-driven, side-scrolling beat 'em up featuring FMV cutscenes and playable characters from the game. Like all Smash games, Brawl supports multiplayer battles with up to four combatants, but it is the first game of its franchise to feature online battles, via the Nintendo Wi-Fi Connection. Super Smash Bros. Brawl is capable of using both GameCube controllers and Wii Remotes at the same time. If a GameCube controller is being emulated or is connected via the Official GameCube Controller Adapter for Wii U, the GameCube controller will be prioritized over Wii Remote for its assigned port and the Wii Remote will be assigned to another port or lose most of its functionality, typically only reacting to the Home button being pressed. Use the mapped GameCube Controller or disable it to resolve this. Super Smash Bros. Brawl is capable of using both GameCube controllers and Wii Remotes. If a physical controller is set to emulate both a GameCube Controller and a Wii Remote concurrently, it will operate both devices at the same time. To fix, migrate controls to use separate physical controllers. Support for Virtual SDHC cards (4-32GiB in size) was added in 5.0-5044, solving issue 8823. See here for help with creating a virtual SDHC card. The SDHC Extension 1.1[Bero] code  needs to be included in your GCT file found within sd.raw's \codes folder. It is recommended to use build 5.0-5821 or later to avoid issue 10636. 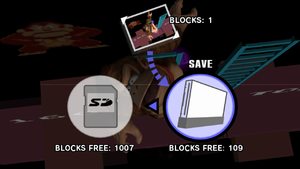 Both issue 10461 and issue 10514 are known to affect SD emulation and are more prominent when using a virtual SDHC card. Many disc images of this game are DVD5 (4.7 GB) altered versions of the original DVD9 (8.5 GB) release. In these most of the videos are removed, resulting in black screens or the same video being repeated all the time when playing the Subspace Emissary. Following these videos, the character select screen may appear; however the names represent the characters for the next level. Dolphin cannot fix this problem; the only solution is to rip a full unaltered ISO. The WiiConnect24/RiiConnect24 features of this title cannot be used because Dolphin does not currently support them. Refer issue 10200. 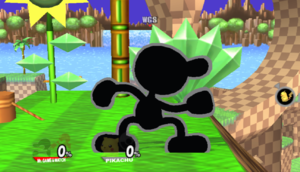 When a character goes off-screen, it will display the character in a hoop, but the background is black. To fix, turn off Store EFB Copies to Texture Only. Texture Cache Accuracy needs to be set to Safe because sometimes the game will fail to update its frames. Store EFB Copies to Texture Only needs to be turned off because a black screen will show instead of the game. After connecting to the Nintendo WiFi Connection, when you enter into "Brawl", "Friend roster", "Team Multi-Man Brawl", or "Home-Run Contest" sub-menus the game will suddenly drop to 1-5FPS and display Src\PixelEngine.cpp:193 W[PE]: (r16) ALPHAREAD errors in the Log. This is due to a known slow/problematic codepath, and can be avoided by enabling Skip EFB access from CPU. This error only appears when interacting with Nintendo WiFi Connection menus. See issue 6553. Right click on the game from Dolphin game list and select "Open Wii save folder". Delete the contents within the \data\ folder. Restart the game. Normally it should take several seconds to create a new save file. 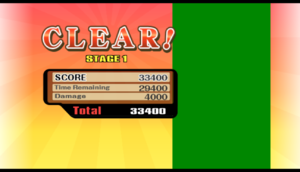 After winning a stage in classic mode, the game is supposed to zoom in on the character, and then partition them off into a rectangle with the game stats around them. See issue 2828. Enabling Real XFB (before 5.0-5874) or disabling Store XFB Copies to Texture Only (starting with 5.0-5874) fixes the issue. Super Smash Bros. Brawl is unusually moddable for a console game. The gecko code "File Patch Code" created by Phantom Wings can read fan-made patches from an SD card on top of Brawl's on-disc data. These patches range from simple character skins and balance adjustments to more complex modifications such as additional characters and extra stages more complex than the Brawl's Stage Builder allows. Dolphin can virtualize a SD card, which is necessary for Brawl mods; Virtual SD Card Guide provides a tutorial for this. A regression introduced in 5.0-2712 may cause gecko code mods to not load properly. This was fixed by 5.0-3301. See issue 10187. There are multiple revisions of Super Smash Bros. Brawl, but the online community seems to prefer revision 1. The patch linked below can downgrade a revision 2 disc (MD5: 52ce7160ced2505ad5e397477d0ea4fe) to revision 1 (MD5: d18726e6dfdc8bdbdad540b561051087). Download the Revision 2 downgrade (71.7MB) and use the included patcher to revise revision 2 images to revision 1. The graph below charts the compatibility with Super Smash Bros. Brawl since Dolphin's 2.0 release, listing revisions only where a compatibility change occurred. r7546 Mac OS X 10.6.7 Intel Core 2 Duo @ 2.2GHz NVIDIA GeForce 9400 Works really fast; had to enable frame rate limiting. However, all character names in battle, and all the names in the Classic "credits" coin shoot are broken/appear as bar codes. 3.0-758 Ubuntu 12.04 Intel Core i7-2670QM NVIDIA GeForce GT 540M Perfect, with FPS ~60 during gameplay (2X Native) and limit FPS in 65 or off. 3.5-367 Windows 7 Intel Core i3-2100 @ 3.1GHz ATI Radeon HD 5450 Perfect, 60FPS and 100% speed. 3.5-1387 Windows 8 AMD Phenom II X4 965 @ 3.4GHz AMD Radeon HD 6850 Okay. 50-60FPS, stable. 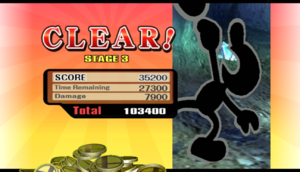 Some minor slowdown when dealing with Olimar remedied by lowering resolution. Otherwise, totally playable. 5.0 Arch Linux Intel Core i7-4790K @ 4GHz AMD Radeon R9 Fury X Using the AMDGPU PRO drivers makes the game run perfectly, I only tested a few brawl matches and they all worked at a constant 60FPS apart from when the Ice used their Final Smash where the framerate dropped to roughtly 48 FPS. 5.0-3354 Win 10 Intel Core i7-6650U @ 3.4GHz Intel Iris 540 Surface Pro 4 with all core\threads of the CPU used and graphics clock increased from default. This page was last edited on 24 April 2019, at 13:39.